Alexandre Houzelle was born on December 7th 1989 in Lunéville, France. He started the Bachelor Biological engineering in 2008 at University Francois Rabelais in Tours, France, with the specialization in Biological and Biochemical analysis, from which he graduated in 2010. He continued with a Master in the same field at Polytech Clermont-Ferrand. During his last year of Master, he did an internship at the University of Edinburgh (Scotland) under the supervision of dr. Amy Buck and dr. Pip Beard , in which he studied the effects of Vaccinia virus infection on host miRNAs biogenesis, modification and suppression, resulting in his Master Thesis in 2012. Through an opportunity via his engineering school, he was then accepted for a research Master in Biomedical Engineering at the University of Oklahoma (Oklahoma, USA). In Dr. David W. Schmidtke’s group, he prepared his Master Thesis on platelet dysfunction following exposure to elevated shear rate, and graduated in 2014. 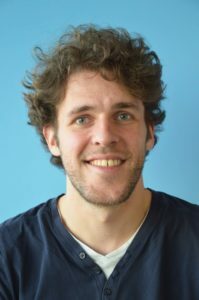 Interested in molecular pathways and microRNA biology, he was granted a PhD position at the Department of Human Biology at Maastricht University, under supervision of dr. Joris Hoeks in the group of Prof. Schrauwen. Since November 2014, Alex is investigating the role of microRNAs on skeletal muscle mitochondrial capacity with the focus on type-2 diabetes mellitus.